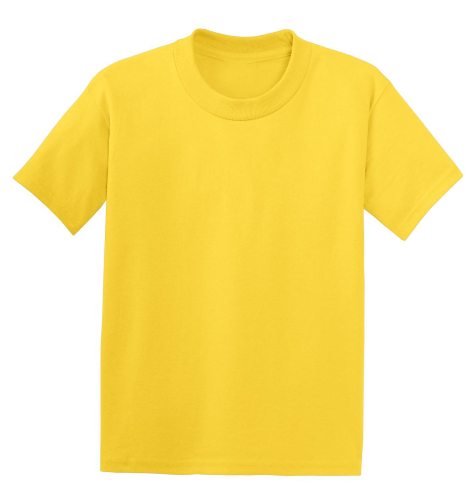 | 5.2-ounce, 50/50 cotton/poly (preshrunk) Made with up to 5% recycled polyester from plastic bottles Taped neck and shoulders Tag-free label Double-needle coverseamed crewneck Lay-flat collar Double-needle sleeves and hem Ash is 99/1 cotton/poly. Light Steel is 90/10 cotton/poly. Please note: This product is transitioning from tagged labels to tag-free and orders may contain a combination of both. Orders shipped out in 5 business days. * Times will vary depending on availability of product. * FREE Shipping on orders of $150 or more.